Inmune System, Daily Detox, Weight Managment, Energy, Balancing, Mental Clarity, Skin, Nails, Hair, Complete Nutrition, protects from Radiation and much more! BioLumina is such a wonderful food that, on first meeting, it can seem "too good to be true." These are some of the many ways BioLumina enhances well-being. About BioLumina Spirulina: The multi-celled, fresh-water microalgae, spirulina, is estimated to have been on Earth for 3.6 Billion years. (It is estimated that Earth is 4.5 Billion years old, and that multi-cellular life began on Earth 1 Billion years ago.) Having been on Earth for so long, BioLumina has a vast innate knowledge of living here in balance successfully. Further, it seems to be "friends" with all living things, including humans, animals and plants. Few other organisms want to live where spirulina lives; it does not compete for its place in the ecosystem. Spirulina's "happy place" is in highly alkaline fresh water at 120 degrees F, or higher, in full sunlight. 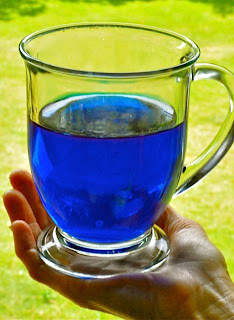 When grown in these conditions, spirulina develops high concentrates (20% or more) of the powerful anti-oxidant, phycocyanin, the royal-blue pigment, as well as a powerful nutritional profile. (Most spirulinas have 10%, or less. 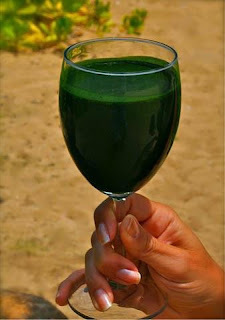 )There are no counter-indications for eating spirulina, any more than there would be for eating carrots. It is a FOOD, NOT a supplement or medicine. Spirulina is the only known food -- other than mother's milk -- that humans can live on for extended periods. To this magnificent food, New Phoenix Rising applies a proprietary Quantum-Infusion process to add a subtle-energy profile of frequencies, including well-being, balance, groundedness, endurance and quick recovery. Consciousness & Transformation: Dr. Christopher Hills, known as the "Father of Spirulina," for his work in bringing spirulina to the world's attention as a solution to feeding the hungry, stated that spirulina is "the most direct way to get sunlight into the cells" and is a "key to both health and evolution." In an article written by Dr. Hills, titled "Spirulina as Nutrition for the Brain," he writes that "the interesting part... is the remarkable effects of this vegetable plankton on our state of consciousness, particularly while fasting on nothing else...; most people feel increased energy and clarity of mind after taking the Spirulina...." The Quantum-Infusion subtle-energy profile also provides an energetic boost to consciousness. Immunity & Stress: With its complete, bio-available spectrum of nutrition, including vitamins A, six Bs, D, E, H and K, iron, chlorophyll, all essential and many non-essential amino acids, a range of phyto-nutrients, including the super-antioxidant, phycocyanin, BioLumina supports the function and repair of the immune system, as well as supporting healthy response to stressors, while binding free radicals. BioLumina's massive amounts of beta-carotenes (20 times more than carrots) and other phyto-nutrients work to reverse damage from oxidative-stress. The "master antioxident," SOD, in BioLumina assists in maintaining all body tissues, by supporting accurate DNA/RNA replication of cells. 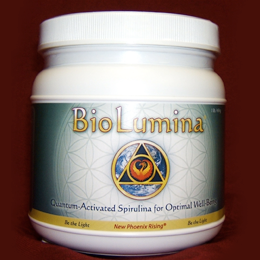 BioLumina has a strong profile of trace minerals, both major and minor. Healthy rest, and sleep are supported as the system recovers from stress. Filling in nutritional gaps creates radiant skin, hair and nails and builds immunity to contagious illness, such as colds and flu. Energy, Metabolic Balance & Weight Loss: No, BioLumina is NOT a magic weight-loss food. Eaten over time, however, its role in increasing energy and supporting metabolic balance help the body to regain its "natural" weight. The energy BioLumina provides is quick and sustained, without energy dips, supporting endurance and quick recovery. Rhamnose, and phenylalanine in BioLumina work to regulate the body's glycemic balance, assisting those who have sugar issues, while regulating the body's appestat without stimulants. BioLumina is a rich source of Omega 3s and 6s, with large amounts of GLA, a healthy fat that assists in many areas of well-being. One tablespoon of BioLumina shaken or blended into your favorite juice can act as a meal replacement, thus assisting in a focused weight-loss program. Finally, BioLumina is 60-70% protein, and unlike animal-derived proteins, is MUCH more easily digested and bio-available. Heart, Blood, and Cardiovascular Health: With its Omega 3s and 6s and GLA, BioLumina supports heart and cardiovascular health, regulating blood pressure, improving elasticity of heart tissue, reducing serum cholesterol, relieving arthritis symptoms and preventing atherosclerosis. By lowering lipid levels in the blood, BioLumina works to increase vascular health and plasticity. Further, by alkalinizing the entire system, BioLumina decreases inflammation (one of the leading causes of disease in general). The B12 in BioLumina helps build healthy blood, increasing hemoglobin over continued use, and is of special importance to those who lean toward anemia. The calcium in BioLumina regulates blood pressure and soothes the effects of stress on the nervous system and brain. Digestion, Detox & Cleansing: BioLumina begins its work in the body by cleansing the digestive system. It is VERY important to make friends with it slowly, starting with 1/4 to 1/2 teaspoon per day for an adult. Even people with relatively "clean" systems can experience detox symptoms initially. There are no allergens in BioLumina. It helps the body throw off all toxins, most importantly radioactive molecules, mercury and heavy metals. by binding to them (chelating) and flushing them from the body. BioLumina aids digestion, first, by being highly digestible itself, having a soft cell wall. It cleanses the liver and gall bladder and gut, regulating bowel activity. There is some evidence that BioLumina prevents candida overgrowth by regulating the balance of gut microbes. Preparedness: I have personally stored and eaten spirulina that was stored for a decade. This is not surprising when we consider that in nature spirulina dries out on the shores of lakes, where it can remain dormant for years and revive when moistened to grow again. This makes BioLumina the PERFECT food for long-term storage. Because of its low-temperature air drying, BioLumina remains dormant when stored in a cool, dark, dry place. (NOT in the refrigerator.) Months or years later, when it is taken off the shelf and added to a liquid, it immediately becomes enzymatically active -- a LIVING food, with a powerful nutritional profile on which you and your family can live in well-being for months, if necessary. Added to a traditional preparedness supply, BioLumina assures all vital nutrients will be available. Radiation: Given the situation currently in the Northern Hemisphere, this section should really be first on this list. Eaten regularly, BioLumina PROTECTS, CLEANSES, AND REPAIRS in relation to radiation exposure. It protects the body by saturating the thyroid with bio-available iodine; it cleanses the body by chelating radioactive isotopes out of the body; it repairs by supporting accurate DNA/RNA replication of damaged cells, making it invaluable for ones having chemo/radiation treatments. Children, in particular, are vulnerable to lifelong cellular damage from radiation exposure. (If radiation protection were BioLumina's only benefit, it would be sufficient reason to eat it.) Further, along these lines, BioLumina supports the body in healthful absorption of sunlight: less burning and more tanning. Finally, BioLumina assists the body in responding well to the increased solar energies as we go through Solar Maximum from 2012 to mid-2015. When the above benefits are considered, it is simply clear that the choice to put BioLumina in the body is one of the most responsible, economical, and health-supporting choices one can make for oneself and one's family. What's in BioLumina besides Spirulina? Absolutely nothing else (except blessings!) is in BioLumina. When we make tablets in the future, there will be absolutely nothing else in them either. This is no easy feat these days; almost every manufacturer of tablets insists on putting other ingredients. "Excipients" they call them. Special agents to make the powder flow more easily through the equipment (so the equipment can run at higher speeds) or coatings to make the tabs shiny or disintegration agents to counter-act the coating or fillers or binders or on an on and on... It all boils down to poison in my view. They justify it by saying "it's only a little bit!" but it is poison. We will not do this. There are some natural "excipients" (like organic rice bran powder for example) but why even use those unless absolutely necessary? With BioLumina we do not need to use any of these things as long as we have a manufacturer who will go along with our way of doing things. Fortunately we do! We went to great lengths to find a packaging/processing business that did not add excipients to the product (they like to add those as it makes the machines run faster... more production.... more money for them) which are basically poison. In checking with over 25 companies, we only found 4 who were willing to do this. We are purists so it is important to us to offer a quality product with absolute clarity in its purpose of providing healing energies. Just 100% pure natural Spirulina Quantum Infused! Spirulina has no side effects. It detoxifies the body in a daily basis, which is not a side effect, it's detox. There are no risks involved if you start slowly. That's why it's recommened to start slowly and build up, in order to avoid discomfort from too many toxins coming out of the body at the same time. Start with 1/4 teaspoon and build up to a tablespoon or what feels confortable for you. Once you've reached a dosis that feels comfortable and good, you stay there. If you need a little more energy one day or stay awake longer, just take more that time...no problem...! 1. Quantum Fusion BioLumina is Quantum Infused with specific energy patterns which promote and sustain optimal health and balance in the body systems. The energy patterns are specifically chosen to enhance well being on all levels and in all bodies, energetic as well as physical. Quantum Infused™ products stimulate the flow of energy in the body’s energetic system, which works like a “software program” to support the body’s natural ability to regulate its many functions. Energetic effects refer to changes in the body’s subtle energy system, which can affect the body. 4. How we grow BioLumina:We are so proud by the way we grow BioLumina. It grows in a clean and pristine area in the dessert in Southern California. It's fed by clean, pure underground water. In all ways except one, the Spirulina we provide is completely organic. A single ingredient, Chilean Nitrate, is responsible for our Spirulina being classified as not organic. This ingredient is not allowed in organic agriculture because of what it does to the soil (i.e., it adds too much sodium to the soil). It is a completely natural, non-toxic substance which comes from a remote, pristine region of Chile and adds the needed nitrogen necessary to grow high quality Spirulina. The fact that growing Spirulina adds no sodium to the soil (it is an aquaculture farm and has no interaction with the soil) is somehow not considered in the organic rules. It is a case of one size does not fit all! Unfortunately, the "organic" Spirulina on the market is grown using animal products to increase the nitrogen in the growing ponds. This adds many challenges as it increases the possibility of pathogens in the growing medium. The only way to insure that the Spirulina is safe from pathogens using this method is to sterilize it (heat it); which also happens to kill it! BioLumina is dried using the very best method: low temperature air drying. It is actually alive and in a dormant state! This is a natural part of it's life cycle and it means that when you eat BioLumina, you are eating a live food. You can easily tell the difference between Natural and Organic just by the scent. The "organic" Spirulina does not smell nearly as good as the Natural kind. Another issue with this method of growing is the issue of animal feed. The animal products utilized in the growing of Organic Spirulina are ever more likely to be fed Genetically Modified animal feed (GMO) as this practice is unfortunately spreading. Thus, as a company, we at New Phoenix Rising feel that Natural in this case is far superior to "Organic." The technology used in Quantum Infusion™ is a breakthrough in quantum radio-physics and is the result of many decades of work by leading scientists in Russia and the U.S.A. It is a technology for generating Subtle Energy through the use of a tunable plasma-based computerized generator that utilizes specific plasma configurations manipulated by electrical and magnetic fields. It is able to emit, store, amplify, reproduce and infuse Subtle Energy patterns with qualities described by Traditional Chinese Medicine as the Five Elements (Water, Wood, Fire, Earth and Metal). Today, computers are used to generate complex calculations at the click of a mouse. The manipulation of electrical impulses which we call software, which in turn acts on the hardware, is a good analogy for how Quantum Infusion™ works in the body. In the human body, the software which governs the physical effects is the energetic body while the electrical impulses are the non-electromagnetic (or Quantum) energy referred to as Subtle Energy. Subtle Energy influences the body’s energetic system and as a consequence the functioning of the physical body. Some scientists today believe that Subtle Energy is actually Dark Energy or perhaps its yet to be discovered relative Dark Light. The set of frequencies currently infused in BioLumina® are specifically chosen to work well with the high grade Spirulina in BioLumina® and to be as universally beneficial to as many body types as possible. This formulation of energy patterns works with the subtle energy system to support the body’s natural ability to develop structural strength and physical balance and to create a stable and powerful inner core like the trunk of a tree with its roots deep in the ground. It can be effective for everyone, from the professional athlete to the weekend warrior to people who suffer from physical stability issues. It supports the body’s natural ability to boost endurance, reduce recovery time and fuel the deep reserve needed to cope with stressful energies. Spirulina, the main component of BioLumina, is an excellent source of high quality protection in the human body. It is also exceptional for animals and plants. People have used it for thousands of years as a primary food source in many places in the world and in the last 30 years in the US as an incredible source of super nutrition. Spirulina is the only food other than mother’s milk that can sustain the human body! Spirulina has been extensively tested and used for radiation exposure. The testing is not just in a laboratory setting but in real world settings. Most notably in recent times during and after the Chernobyl disaster of 1986. With so many people focused on what to do about potential radiation exposure here in the U.S. with the Japanese disaster, it seems appropriate to revisit this information. This article is a brief summary of what was learned from that previous experience. Chernobyl was a huge disaster which not only affected hundreds of thousands of people, but is still affecting many people as well as the environment. Many years later, millions of people are still living in radioactive areas. In over 11,000 square miles, there is water, food and soil contamination. When the meltdown happened at Chernobyl in the Ukraine, the neighboring state of Belarus received about 70% of the fallout and was heavily affected as a result. Over 160,000 children and 150,000 cleanup workers were exposed to radiation poisoning which produced higher incidences of leukemia, anemia, thyroid disease, various cancers and compromised immune systems. In fact, the radioactivity in children’s urine samples was decreased by 50% in only 20 days! This was achieved with a dose of only 5 grams per day (about a couple of teaspoons). One of the amazing things the researchers found was that the healing effects were occurring even with advanced cases and even when the exposure to radiation was on-going through contaminated food and water. Other findings were that allergic reactions decreased and heavy metals loads in the body were decreased. A 1993 report concluded: Use of Spirulina decreases radioactive dose load received from food contaminated with radionuclides, Cesium-137 and Strontium-90. Spirulina is favorable for normalizing the adaptive potential of children’s bodies in conditions of long-lived low dose radiation. Additionally, Spirulina was found to assist in absorption of other nutrients (from other foods) and lessen the damage to kidneys from toxic loads which is important since the kidneys are among the first organs to be affected by radiation. These research findings were impressive enough that a Russian patent was awarded for Spirulina as a medicine to reduce allergic reactions from radiation sickness. The bottom line on all the research is that we still don’t know all of the answers as to why Spirulina does all of the things it does, we just know that it works! As a caution, Spirulina is a crop, so at different times of the year, the nutritional profile will be quite different. There has also been a big influx of cheap Chinese Spirulina into the US market in the last 10 years. It has been found to contain high amounts of lead and other heavy metals. With everything that’s going on in the world today, it’s wise to have some BioLumina (Spirulina with the highest nutritional profile) in your diet! 2. Sokolovskiy, V. Corres. from the First Secretary BSSR Mission to the United Nations, May 20, 1991. 3. Belookaya, T. Corres. from Chairman of Byelorussian Committee “Children of Chernobyl” May 31, 1991. 5. Evets, P. et. al. Means to normalize the levels of immunoglobulin E, using the food supplement spirulina. Grodenski State Medical Univ. Russian Fed Comm Patents and Trade. Patent (19)RU (11)2005486. Jan. 15, 1994. 6. Loseva, L.P. Spirulina platensis and specialties to support detoxifying pollutants and to strengthen the immune system. Research Institute of Radiation Medicine, Minsk, Belarus. Presented at 8th Int’l Congress of Applied Algology, Italy Sep. 1999. I had suffered miserably for 11 years, since 2000, from the extreme body-shaking symptoms of Parkinson's disease. Then, fortunately, the day before Thanksgiving last November, I visited my new friend, Eliahu Goodman, to receive a Quantum Breath, Reiki Energy, and Alchemical Crystal Bowl healing session from him. When I arrived, Eliahu made a delicious BioLumina Spirulina Smoothie for me. The Smoothie had BioLumina Spirulina, organic apples, organic bananas, and pure water in it. About five minutes after drinking that BioLumina Smoothie I was amazed when I suddenly went from my body exhibiting lots of excess and chaotic movement to experiencing full body calm. And right then I was able to meditate for the first time in years! What is so unusual about this is that since I was diagnosed with Parkinson's disease in 2,000 my body pretty much always been in a state of excess movement, except when I’d get brief relief for an hour or two by taking medications that had side effects which may have contributed to my feelings of abject depression. That day, I hadn’t taken any medication; yet shortly after drinking that BioLumina Spirulina Smoothie, my body, mind and spirit felt completely aligned and connected again. That was so wonderful! The next morning was Thanksgiving, and I suddenly had a lot more to be thankful for. I felt great! The beneficial effects of the BioLumina Spirulina Smoothie that Eliahu had given me at his home the day before (including my body not shaking uncontrollably, and my body mind and spirit feeling so connected) had lasted for a full 8 hours. That had never happened since the onset of the Parkinson’s, and my energy was really high! So much so, that my daughter saw it, and she encouraged me to call Eliahu and order the BioLumina Spirulina from the New Phoenix Rising Company immediately. I did that over the Internet with Eliahu’s help, and am I ever so thankful for that I did! I was thankful, too, that Eliahu called New Phoenix Rising’s Founder, Lance Leonard, for me on Thanksgiving Day, and that the next day Eliahu drove half an hour to meet personally with Lance and his wife, Lyndia, who took time out from their long Thanksgiving weekend to give Eliahu the BioLumina which he personally delivered to me. That was so kind of the three of them to do that for me. Spirulina can be found in many freshwater environments, including ponds, lakes, and rivers. It thrives best under pesticide-free conditions with plenty of sunlight and moderate temperature levels, but it is also highly adaptable, surviving even in extreme conditions. More than 25,000 species of algae live everywhere - in water, in soils, on rocks, on plants. They range in size from a single cell to giant kelp over 150 feet long. Macroalgae are large like seaweeds. Microalgae are microscopic. Ocean microalgae, called phytoplankton, are the base of the ocean food web. Spirulina is often deemed the most nutritionally complete of all food supplements, containing a rich supply of many important nutrients, including protein, complex carbohydrates, iron, and vitamins A, K, and B complex. It also has a high supply of carotenoids such as beta carotene and yellow xanthophylls which have antioxidant properties. It is also rich in chlorophyll, fatty and nucleic acids, and lipids. Thus, spirulina has countless uses as a supplement for maintaining good health and for preventing diseases. In 1994, a Russian Patent was awarded for spirulina as a medical food to reduce allergic reactions from radiation sickness. 270 Children of Chernobyl consuming 5 grams a day for 45 days (donated by Earthrise Farms), lowered radionucleides by 50%, and normalized allergic sensitivities. Today we are subject to an onslaught of toxic chemicals in our air, water, food and drugs. Our bodies need to continually eliminate these accumulated toxins. Spirulina has a completely unique combination of phytonutrients - including chlorophyll, phycocyanin and polysaccharides, that can help cleanse our bodies. BioLumina Spirulina comes in powder form. We will have capsules or tablets available in the near future. The best way is to mix it in a smoothie or with juice. Fruit smoothies with coconut water are my favorite! If you never have taken Spriluna, you need to start slowly, with 1/4 teaspoon and slowly increase it to a full teaspoon or more daily. Sources for these forms of spirulina are normally laboratory-grown. Harvesting spirulina from more natural settings has posed a challenge because of possible contamination from toxic substances that cannot be removed from the product. Hopefully, more eco-friendly and safer ways to cultivate the algae can eventually be developed and perfected. And we, at New Phoenix Rising have accomplish it! How we grow BioLumina:We are so proud by the way we grow BioLumina. There are no pesticides, GMO ingredients, or synthetic ingredients of any kind used in the production of BioLumina. In all ways except one, the Spirulina we provide is completely organic. A single ingredient, Chilean Nitrate, is responsible for our Spirulina being classified as not organic. This ingredient is not allowed in organic agriculture because of what it does to the soil (i.e., it adds too much sodium to the soil). It is a completely natural, non-toxic substance which comes from a remote, pristine region of Chile and adds the needed nitrogen necessary to grow high quality Spirulina. The fact that growing Spirulina adds no sodium to the soil (it is an aquaculture farm and has no interaction with the soil) is somehow not considered in the organic rules. It is a case of one size does not fit all! *Spirulina Promotes Stem Cell Genesis and Protects against LPS Induced Declines in Neural Stem Cell Proliferation. Increases proliferation/mitochondrial function of human stem cells in culture. 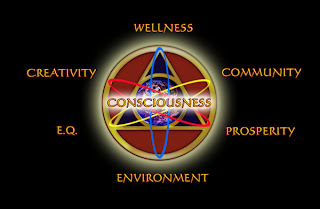 We are committed to be of assistance in the evolution of human consciousness. Through cultivating Authenticity, Congruence and Empowerment, and by enhancing people's ability to choose Health, Abundance and Love, we are fostering the development of Global Spiritual Community based on Freedom, Personal Creativity and Harmony with Nature. Using Enlightened Commerce, we are creating a transitional bridge to the next dimension of possibilities in business. As a company, we see the need to re-define the conversation about our relationship to the Earth. If you will like to be part of this company and find out more about BioLumina, please contact me.